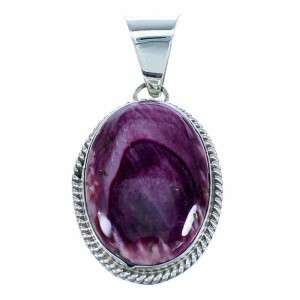 This is a very exquisite pendant that must not be overlooked! 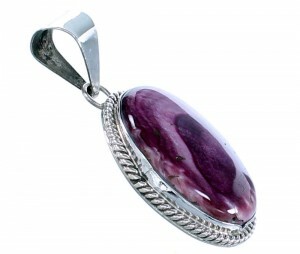 This pendant is Navajo hand crafted by B. Benally, out of genuine sterling silver and a real Purple Oyster Shell. The stone is gently set in a hand cut bezel setting, while being accented by magnificent twisted silver for a perfect finish. 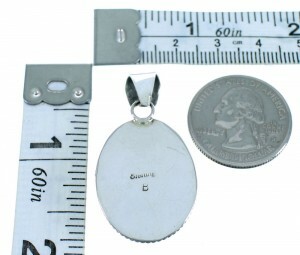 The pendant is stamped sterling and hallmarked.